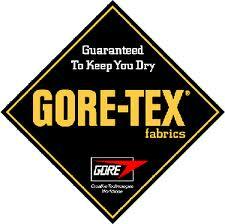 Love it or not sure about it, Gore-Tex is a big player when it comes to waterproof garments for walkers and cyclists. And over the last year or so there has been quite a bit of excitement from the Gore-Tex camp. Gore-Tex Active jackets were launched late in 2012 – and this week, Gore-Tex has announced that after 4.5 years of research and production, there will be a brand-new Pro fabric in shops by late next year. While Gore-Tex Active wear is a lightweight and highly breathable fabric for activities, such as walking and cycling that are “done in the day”, Gore-Tex pro is for extended, high-end use. The Pro fabric replaces the current Pro Shell fabric and will be used in jackets that need to be highly durable, waterproof and able to cope with extreme conditions. The Pro fabric will be popular among mountaineers, walking enthusiasts and skiers, too. It was only in the last 10 days that Gore-Tex revealed their new Pro membrane to a handful of European retailers and press. I was fortunate to be one of only two UK outdoors bloggers invited to one of the events at National Mountain Centre at Plas y Brenin, Snowdonia, earlier this week. The presentation from Gore-Tex was as impressive as ever. Even if you are not a fan of Gore-Tex ­– perhaps because you think it’s over-hyped or over-priced – it’s impossible not to be infected by the enthusiasm of all those that work for Gore-Tex. They all care passionately about their product. The Pro fabric has been many years in the creating and has undergone rigorous testing in the factor, lab and out in the field. This you can’t doubt. It’s claimed that the Pro fabric is better than Pro Shell because it is just as waterproof but more durable and between 10 to 28% more breathable. It’s this breathability that will be a defining factor because many waterproof products struggle to offer breathability, thus allowing body sweat to evaporate effectively from the skin and through the jacket fabric. The Gore-Tex Pro jackets, which will be in shops from next autumn, are likely to be 10 to 20% more expensive than Pro Shell. Gore-Tex does not set these prices, but the brands that make their products from Gore-Tex do. And how will you tell the difference between Pro Shell and Pro? While the jackets will undoubtedly look more modern, the most obvious difference is that the new Pro has a rip-stop pattern (a grid) on the inner side of the fabric, while Pro Shell doesn’t. I have a sample Gore-Tex Pro jacket and will be testing it in the coming months while walking in Scotland, so look out for future blogs. A fully waterproof and breathable jacket is going to be of great interest to al kinds of walkers, and especially those embarking on a multi-day walking holiday.